Bonita Naples Real Estate agent Melinda Sullivan recently won the Naples Daily News Choice Award for Best Realtor. The Naples Daily News gives this award every year to different businesses in the community in categories such as Best Realtor, Best Real Estate Office, Best Restaurant, Best Fitness Center and more. The winner is determined based upon who receives the most votes from subscribers to the Naples Daily News online edition. Domain Realty, the real estate company Sullivan works for, also won Best Real Estate Office from all three print publications in Southwest Florida: #1 in the Naples Daily News, News Press, and Bonita News. “This is my first time winning the Choice Award for Best Realtor from the Naples Daily News and I’m beyond thrilled. I’m very grateful to those who voted for me. It was quite an honor,” said Sullivan. 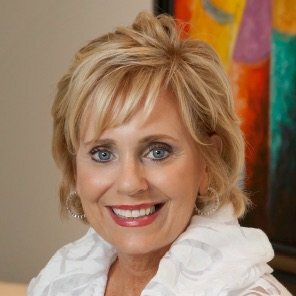 No stranger to winning awards in her industry, Sullivan was recently recognized by her broker DomainRealty.com LLC as the #1 Top Overall Agent. This award is based on the number of closed sales for the year. As a real estate agent in the business for over 10 years, Sullivan and her team specialize in second home buyers, retirees and full-time residents in Naples, Bonita Springs, Estero and Marco Island Florida. The Sullivan Team is a full service, technology-driven real estate team made up of full-time, experienced real estate professionals who demonstrate a commitment to outstanding customer service, personal integrity and sales success. 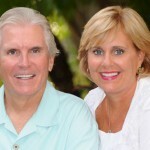 Led by Melinda & Paul Sullivan, top producing agents who have been in the top 5% for almost a decade, the Sullivan Team serves buyers and sellers all over the Southwest Florida area including Naples, Bonita Springs, Estero and Marco Island.